A 23-YEAR-OLD Chinese-born Sydney resident has been revealed as the head of a company which forked out more than $5 million for a prime beachfront caravan park. 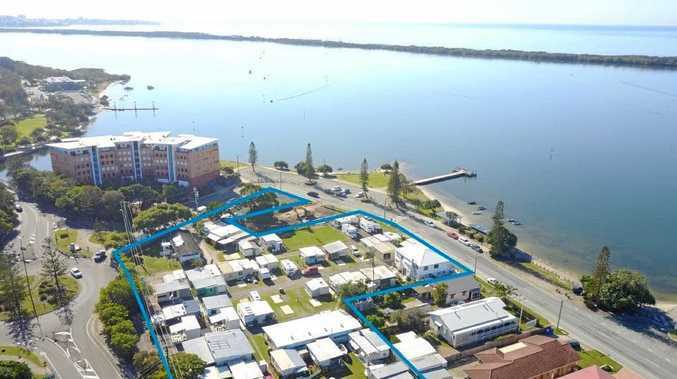 Residents at Military Jetty Caravan Park in Golden Beach last week received a letter from the new owners of the 7721sq m site, TriStar Property Investments Pty Ltd. The company paid $5.2 million through Coast-based commercial property agents Nick Dowling and Baydn Dodds of Colliers International. A search of the Australian Securities and Investments Commission register showed the company's sole director was Zihao Liu, a 23-year-old Carlingford resident who was born in China. The company was registered to a Mooloolaba post office box when it was set up in January. TriStar Property Investments is wholly-owned by Sydney-based company Heng Tai Investment Australia Pty Ltd, of which Zihao Liu is also listed as a sole director and 10 per cent shareholder. Heng Tai, which was set up in May 2016, is 90 per cent owned by fellow Sydney resident Jianqing Ye. Last week's letter from TriStar Property Investments eased resident Terry Massey's stress levels after a year of uncertainty about whether or not the park would be redeveloped. Residents last year feared they would be turfed out after learning the property was on the market. Pensioner Mr Massey, 77, moved into the park nearly 22 years ago. "It was the worst stress I'd ever been put under," Mr Massey said. He said he paid $185-a-week for his site, a price he expected would be unattainable anywhere else nearby. Last week's letter said residents could expect an influx of tradesman and contractors carrying out works and looking at items that could be enhanced. "We are working hard behind the scenes with council, consultants and contractors to get these upgrades under way and ensure our park is safe and conforms with all legal and council requirements," the letter read. Mr Massey said it had come as a relief. "There's no (other) affordable rent up here," Mr Massey said. "A lot of people would be relieved because they classify this as their home." Fellow resident Bob Wilson said the letter had been backed up with action, with work already happening on upgrades. "It's leaning towards the positive side now," Mr Wilson, 71, said. 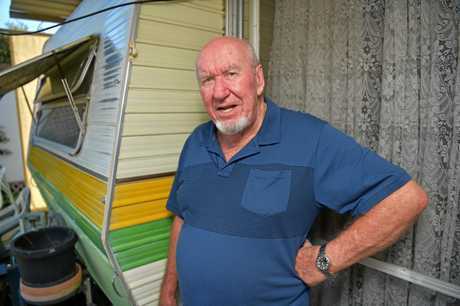 He said residents were more inclined to upgrade their caravans and cabins. "We feel more confident to put in a few thousand dollars," Mr Wilson said. "They (new owners) are showing us they want to bring the park up and upgrade it." Mr Dowling said the new owners did not wish to comment directly on their plans for the site but he said on their behalf it had been purchased as an investment. "They are not trying to upgrade it to a development," Mr Dowling said.